They say that a large part of sporting success lies in the psyche as much as in the physical. With that in mind, our list of the 100 best motivational sports quotes may just inspire you to achieve your personal goals, whether they relate to sporting pursuits, fitness or general life ambitions. These quotes come from superstar athletes and coaches, but also from journalist, fitness experts and less-celebrated individuals. 2. "You have to expect things of yourself before you can do them." 3. "Age is no barrier. It’s a limitation you put on your mind." 4. "Hard work beats talent when talent doesn’t work hard." 5. "Don’t measure yourself by what you have accomplished, but by what you should have accomplished with your ability." 6. "A champion needs a motivation above and beyond winning." 7. "You can’t win unless you learn how to lose." 8. "If you can’t outplay them, outwork them." 11. "Never give up! Failure and rejection are only the first step to succeeding." 12. "Champions keep playing until they get it right." 13. "Each day you must choose, the pain of discipline or the pain of regret." 14. "Persistence can change failure into extraordinary achievement." 15. "The mind is the limit. As long as the mind can envision the fact that you can do something, you can do it, as long as you really believe 100 percent." 16. "You are never really playing an opponent. You are playing yourself, your own highest standards, and when you reach your limits, that is real joy." 17. "If it doesn’t challenge you, it won’t change you." 18. "Never limit yourself, never be satisfied, and smile… It’s free!" 19. "Good is not good when better is expected." 21. "The more I practice, the luckier I get." 22. "Believe me, the reward is not so great without the struggle." 23. "If you don't invest very much, then defeat doesn't hurt very much and winning is not very exciting." 24. "A life is not important except in the impact it has on other lives." 25. "It is not the size of a man but the size of his heart that matters." 26. "I start early and I stay late, day after day, year after year. It took me 17 years and 114 days to become an overnight success." 27. "An athlete cannot run with money in his pockets. He must run with hope in his heart and dreams in his head." 28. "The difference between the impossible and the possible lies in a person's determination." 29. "There may be people that have more talent than you, but there’s no excuse for anyone to work harder than you do." 31. "Nobody who ever gave his best regretted it." 32. "You can always become better." 33. "Kill them with success and bury them with a smile." 34. "To uncover your true potential you must first find your own limits and then you have to have the courage to blow past them." 35. "If you aren't going all the way, why go at all?" 36. "It isn't the mountains ahead to climb that wear you out; it's the pebble in your shoe." 37. "As long as we persevere and endure, we can get anything we want." 38. "Pain is temporary. It may last a minute, or an hour, or a day, or a year, but eventually it will subside and something else will take its place. If I quit, however, it lasts forever." 39. "A champion is someone who gets up when he can't." 41. "Tough times never last, but tough people do." 42. "It’s all about the journey, not the outcome." 43. "You’re never a loser until you quit trying." 44. "Always make a total effort, even when the odds are against you." 45. "Today I will do what others won’t, so tomorrow I can accomplish what others can’t." 46. 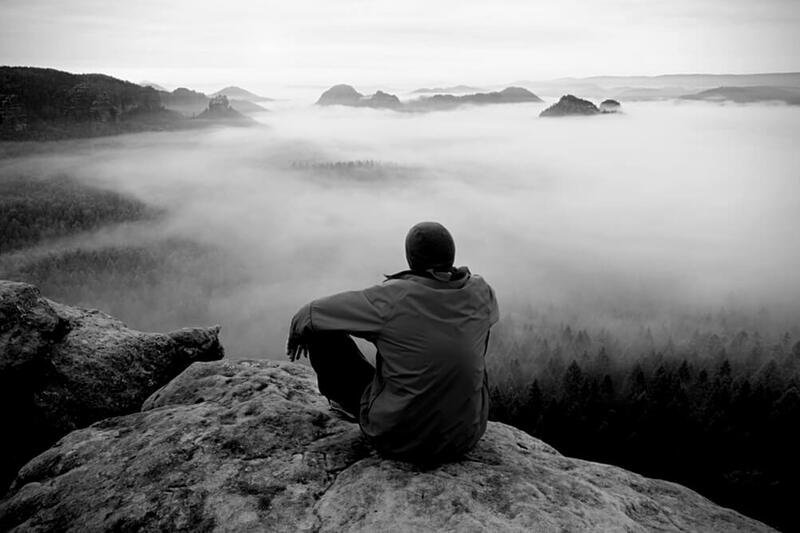 "What makes something special is not just what you have to gain, but what you feel there is to lose." 47. "The principle is competing against yourself. It’s about self-improvement, about being better than you were the day before." 48. "Excellence is not a singular act but a habit. You are what you do repeatedly." 49. "If you have everything under control, you’re not moving fast enough." 51. "There are only two options regarding commitment. You’re either IN or you’re OUT. There is no such thing as life in-between." 52. "If you are afraid of failure you don’t deserve to be successful!" 53. "You can’t get much done in life if you only work on the days when you feel good." 54. "If you only ever give 90% in training then you will only ever give 90% when it matters." 55. "I’ve got a theory that if you give 100% all of the time, somehow things will work out in the end." 56. "Believe it and it will happen." 57. "The vision of a champion is someone who is bent over, drenched in sweat, at the point of exhaustion, when no one else is watching." 58. "Never let your head hang down. Never give up and sit down and grieve. Find another way." 59. "You have to believe in yourself when no one else does – that makes you a winner right there." 61. "Do you know what my favorite part of the game is? The opportunity to play." 62. "To believe in yourself and to follow your dreams… This is success!" 63. "I think that the good and the great are only separated by the willingness to sacrifice." 65. "Show me a gracious loser and I’ll show you a failure." 66. "Life is meant to be a challenge, because challenges are what make you grow." 67. "Make sure your worst enemy doesn't live between your own two ears." 68. "The five S’s of sports training are: stamina, speed, strength, skill, and spirit; but the greatest of these is spirit." 69. "Show me a guy who’s afraid to look bad, and I’ll show you a guy you can beat every time." 71. "It’s not the will to win that matters — everyone has that. It’s the will to prepare to win that matters." 72. "Find the good. It’s all around you. Find it, showcase it and you’ll start believing it." 73. "I can't relate to lazy people. We don't speak the same language. I don't understand you. I don't want to understand you." 74. "Whoever said, 'It's not whether you win or lose that counts,' probably lost." 75. "What you lack in talent can be made up with desire, hustle, and giving 110 percent all the time." 76. "Success isn’t final, failure isn’t fatal, it’s courage that counts." 77. "Courage doesn't mean you don't get afraid. Courage means you don't let fear stop you." 78. "Sports do not build character. They reveal it." 79. "If you can believe it, the mind can achieve it." 81. "Just keep going. Everybody gets better if they keep at it." 82. "God gives talent; work transforms talent into genius." 83. "Be the hardest working person you can be. That's how you separate yourself from the competition." 84. "The will to win is important, but the will to prepare is vital." 85. "The most important thing about winning is believing that you can win no matter who you are playing." 86. "Every passion has its destiny." 87. "To achieve great things you have first to believe it." 88. "If you train hard, you’ll not only be hard, you’ll be hard to beat." 89. "Good, better, best. Never let it rest. Until your good is better and your better is best." 91. "Any time you have an opportunity to make a difference in this world and you don't, then you are wasting your time on Earth." 92. "When people succeed, it is because of hard work. Luck has nothing to do with success." 93. "I'm just about that action, boss. I ain't ever see no talking win me nothing." 94. "The road to Easy Street goes through the sewer." 95. "Your biggest hurdle isn’t your opponent, it is yourself." 96. "When you’ve got something to prove, there’s nothing greater than a challenge." 97. "The secret is to believe in your dreams; in your potential that you can be like your star, keep searching, keep believing and don’t lose faith in yourself." 98. "The only way to prove that you’re a good sport is to lose." 99. "When you win, say nothing, when you lose, say less." Plenty of our sportsmen and women have broken records in their own fields of excellence. Whether it was Carl Lewis setting a mark for the indoor long jump in 1984 that stands to this day, or Michael Phelps' incredible haul of 28 swimming records, the hundred names listed above feature some of the all-time greatest record-breakers. 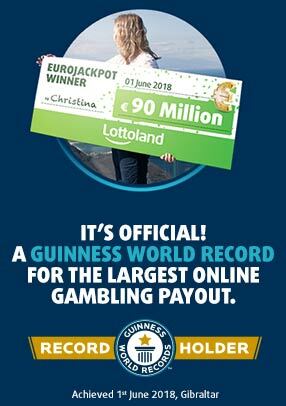 Here at Lottoland we have broken a pretty special world record as well, and it happened as recently as 2018. In June of that year we smashed the existing world record for the biggest online gambling payout of all time. The previous mark stood at €17,879,645, but Lottoland paid out the monster sum of €90 million to one lucky winner, putting the old record in the shade. You may not be capable of smashing Olympic records, but with Lottoland anyone can be a record-beater!